AdWords Mobile Certification covers basic and intermediate concepts of mobile advertising, including ad formats, bidding and targeting, and campaign measurement and optimization. 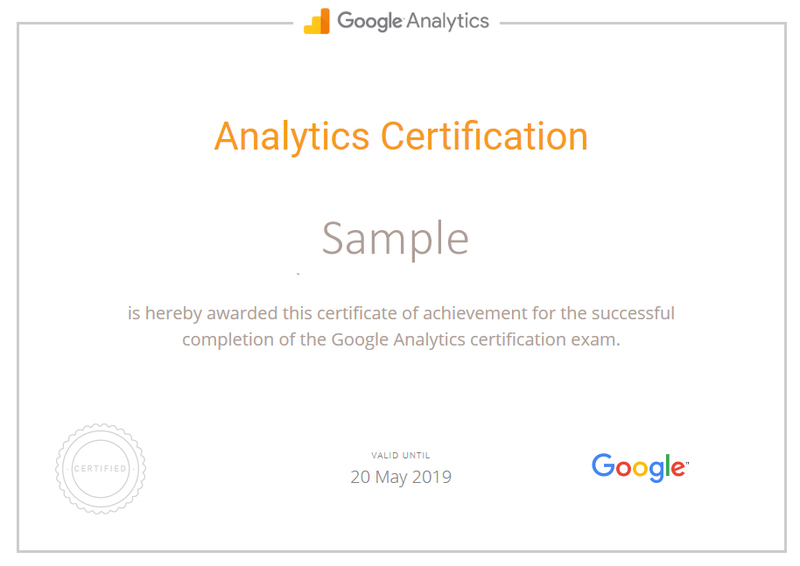 AdWords Search Certification covers basic and intermediate concepts, including best practices for creating, managing, measuring, and optimizing search ad campaigns across the Search Network. AdWords Video Certification covers basic and intermediate concepts, including best practices for creating, managing and optimizing video advertising campaigns across YouTube and the web. AdWords Display Certification covers basic and intermediate concepts, including best practices for creating, managing and optimizing Display campaigns. Google Web Designer makes it easy for beginners to build engaging creatives while offering time-saving coding features for advanced developers. Take all the courses, pass the Assessment, and earn an Achievement to display on your profile.